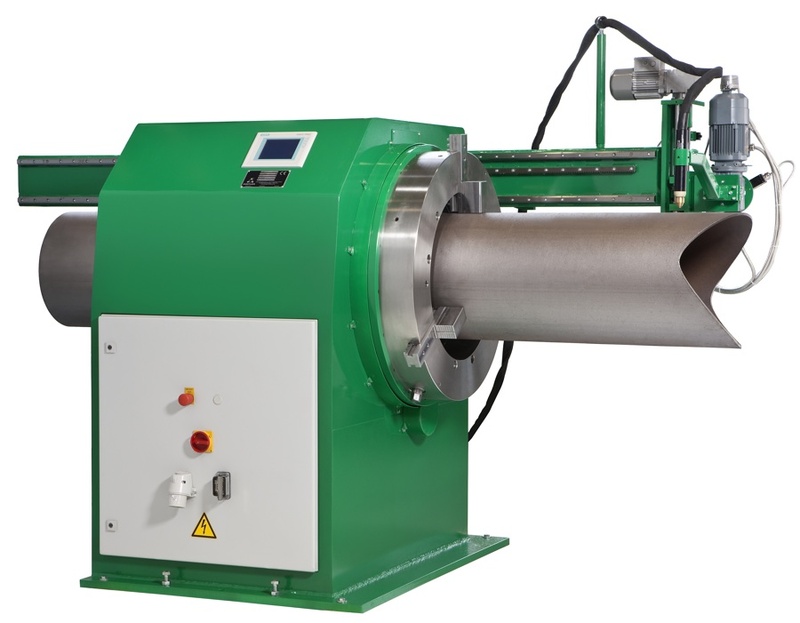 Pipe cutting machines of the SCM range are used for pipe cutting and profiling in the workshop as well as on site. The SCM machines are equipped with two PLC-controlled axis which enables the machin to cut pipes in conjunction with a plasma or oxy-fuel torch. The work piece is clamped by a driven chuck (axis1), then the torch is moved ovr the pipe (axis2). Optional, a third controlled axis can be added to enable the machine to bevel end cuts (straight, miter and branches). All programming is menu-driven, the machine is therefore easy to operate.